James Kojo Ansah and Kwesi Ansah, two Ghanaian brothers set up the JK2 Table power. A 12-volt device that allows them to produce energy. Their dream is to obtain funding to light Ghana with cassava tubers. “We wanted to invent something that could be useful to our populations, especially with regard to access to energy. People have to fight big battles to get energy. So we decided to use cassava to alleviate this problem.” It is the idea that led the Ansah brothers for years and it is clear that it has borne fruit as today, James and Kwesi proudly brandish their JK2 Table Power, the result of hard work. This local device whose name consists of the initials of the first names (James and Kwesi) of the two brothers is a device that generates energy; a discovery that arouses a lot of curiosity, because the basic raw material used by these two “engineers” is cassava. 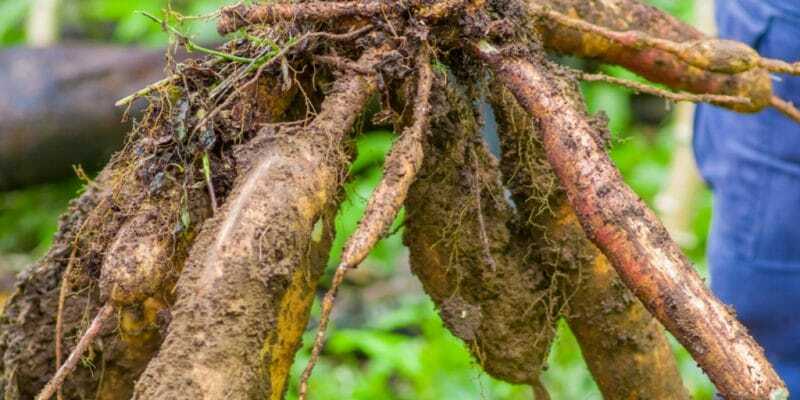 By a very complex process, they succeed in generating energy thanks to these tubers. “We go to the field to get cassava, which we peel, wash and bring back using a handmade scraper. We then add water to the cassava paste to make it lighter. This will then be poured into the JK2 Table Power, a device locally designed by the two brothers, which is equipped with a copper electrode and an electric motor. To operate the machine, this mixed cassava is put into a one-litre tank. “The pipes in the device will then absorb the mixed cassava from the tank and use it to generate electricity,” they explain. The JK2 Table Power can power LED bulbs, turn on radio sets and recharge phone batteries. These young people have not stopped dreaming for they hope to obtain funding to produce energy to light hospitals, schools and even villages. In Ghana “We need government support to be able to produce enough energy for our people using cassava. In this way, we can contribute to reducing the cost of access to hydroelectric energy,” they explain. These complaints seem to be well understood, because the Ghanaian Minister of Environment, Science, Technology and Innovation, Prof. Frimpong Boateng promised the two young people technical and financial support to develop their young project. In Africa, Ghana is the second-largest cassava producer after Nigeria. According to FAO statistics, Ghana produced nearly 20 000 tons of cassava in 2017. A guarantee of the availability of the raw material for the future business of the Ansah brothers.